Bricking of techno device have now become a regular issue nowadays. Actually, for those who don't really understand what bricking means, it means when a device is being malfunctioned either by a software or hardware error. Taking a scan in the meaning of bricking, you should be able to clearify that it appears in two forms, which are the soft brick and hard brick. To cut the story short, Previously I explained the solutions on how to unbrick all android device, but today's stroll I would lay emphasis on how to unbrick techno devices. So quickly take a brief scan on the previous related issue to expand your idea. Oh no! My techno device bricked, what are the key things I should do to unbrick it. Today's stroll I would be briefing you on the 3 ways to unbrick a techno android. This method is when your techno android is bricked in a minor way, so you should simply boot your techno android into recovery mode (hold volume up + power button while the phone is off) and clear all the cache and also factory reset. 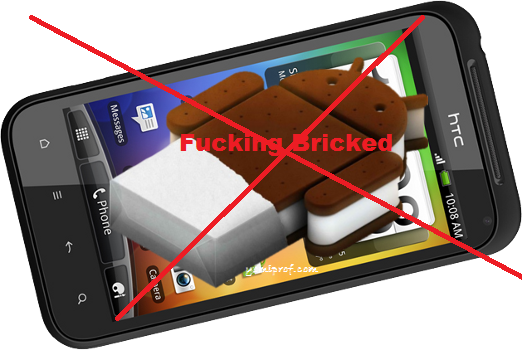 - Get a techno phone that is unbricked, actually, the phone should be similar to yours. - select the backup option and yes to comfirm. - After that, then boot the bricked phone into recovery mood (hold volume up + power button while the phone is off). - Go to the backup and restore option. - Then select the restore option. - Then select those backup files you copied from the unbricked/good techno device and then click yes to proceed. Once the restoration is completed, then your bricked techno device would be unbricked at once and it would be working like a new one. This final method only works for rooted techno device, if is that your techno device is not rooted, then don't bother going through this method, just reverse back to method two or one. - Then also download MTK droid tools and get the boot.img for your techno bricked android phone from someone that has similar device with you vis MTK tools backup or download boot.img file instead. - Switch on the bricked techno device and then connect it to Pc. Don't bother once it's stuck in that usual techno logo display. - Once the techno android is connected, then install the PdaNet on your Pc. - While the phone connected, launch MTK Droid tools and then extract its contents try to also take note of where they are being extracted to. - Once this is done, then the MTK droid tools would display your phone details and the bottom should also be yellow. - Then click root at the bottom (yellow in colour), then click yes to any prompt and wait till the yellow bottom turns green. - Once the bottom successfully turns green, then select root, then backup and recovery tab. - Select yes to any prompt displayed, then select yes to boot into recovery mood. - Finally, you should know have the Clockworkmod recovery installed from which you can simply do a restore, wipe davlink cache, wipe cahe partiton, reset to factory state or flash a custom Rom or new stock. Boommmmm!!! Your techno android device is unbricked with any of these manual methods. Hope that helps. I would love if your take a brief scan on the tutorial on how to know if your techno android device is geninue or not. If you have any related issue with your techno android device, then don't hesitate to let us know, I also appreciate comments. my tecno f6 is bricked and its stacked right after the experience a smart life with a dead android robot lying down and a red triangle, saying no command. it doesn't even get to the logo. please I need help. thanks!